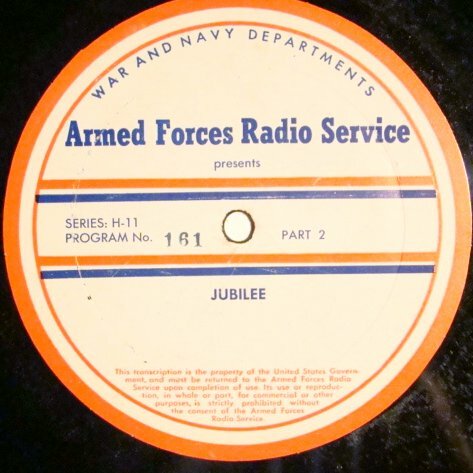 Today a radio show about a radio show - the Jubilee show of the Armed Forces Radio Service. This show was aimed at the African American soldiers and its most famous presenter - or master of ceremonies as he named himself - was Ernie 'Bubbles' Whitman, who presented the show with a lot of humor and jive talk. The show started together with the recording strike of the American Federation of Musicians, that made an exception for recordings for the military. And so these are the only recordings that exist from these two years. In this show I will not only play great and unique music from the Jubilee shows, but I also tell you more about the position of African Americans in the Armed Forces, where segregation was as harsh as in the Deep South.